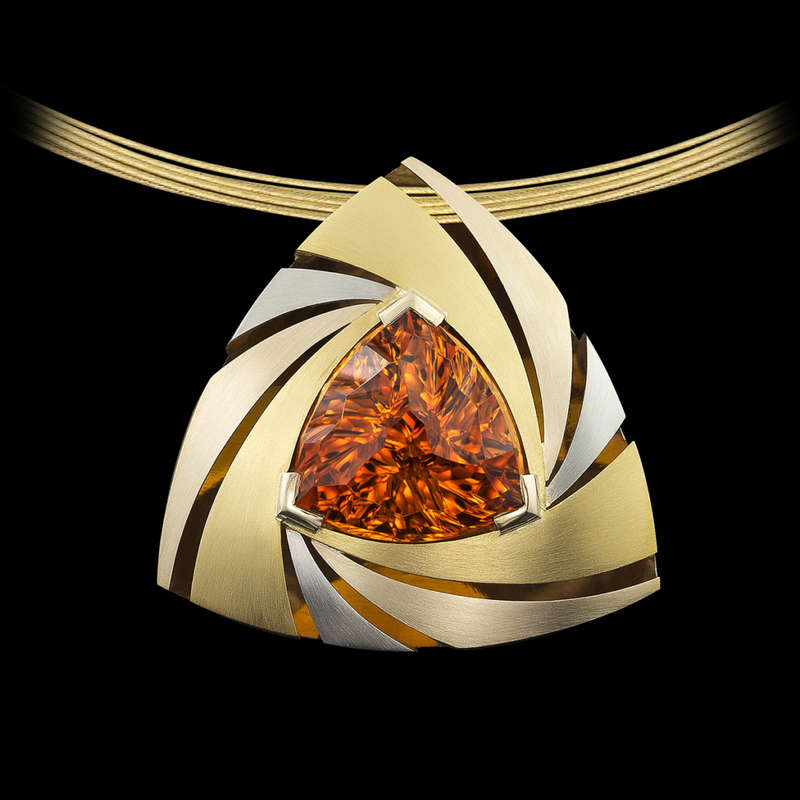 Star Hen Galaxy Pendant, a part of the Cosmos series, features a striking Madeira Citrine cut by award-winning lapidary Mark Gronlund. The unique concave facets of this gemstone create a spiraling effect and project the beautiful golden glow throughout the design. This piece is crafted in 18kt yellow gold, 14kt yellow gold, and 14kt white gold all with a satin finish. What we can see of the universe has fascinated, inspired, and humbled man throughout history. As humans, our days may be filled with technology and culture, which seem to elevate us in the natural world, but when we gaze into the night sky, this truth is undeniable. Our presence in the universe is vanishingly small, and yet we are a part of something unfathomably grand.